Business cards and social media are both about making connections. They are also about looking the part. Social media has become particularly important for businesses in recent years. This is no revelation. It’s a versatile channel, useful for marketing efforts, business communication and more. 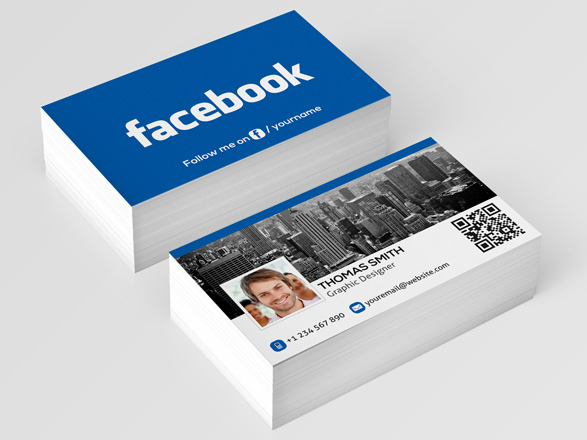 But the increased significance of social media has also led to a rise in the popularity of social media business cards. Here are eight awesome examples of social media business cards. 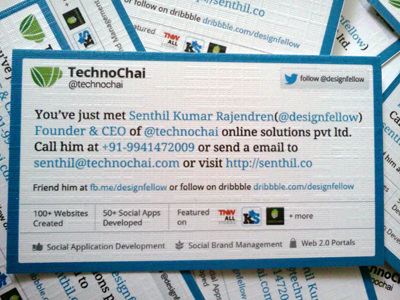 Designer Senthil Rajendren’s social media-based business card addresses the recipient directly in the form of a tweet. It certainly looks the part, but it’s no gimmick. The tweet is full of information, squeezing in Rajendren’s Twitter handles, job title, phone number, email, website, Facebook, and portfolio. 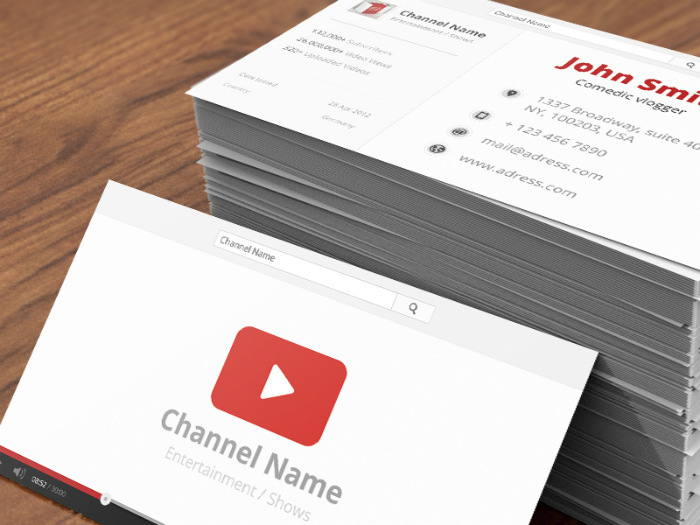 If you or your business have a strong YouTube channel, vlogger Mihai Serban has created a social media business card for you. The business card stands out with a bold ‘play’ sign on one side and your contact details overleaf. Business cards don’t have to be complicated to be effective. 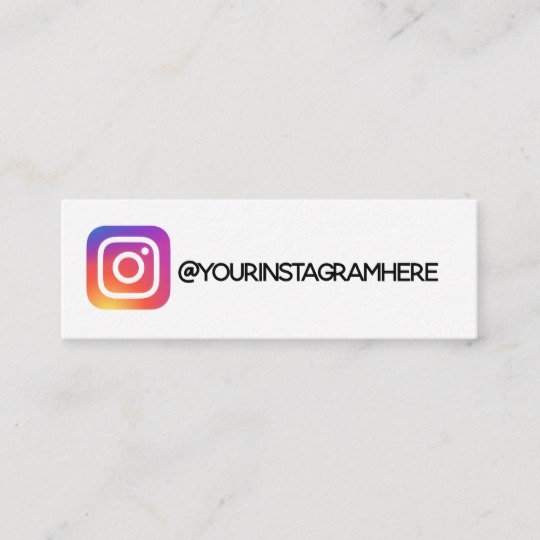 If Instagram is a major channel for your business, providing contacts with your handle may be all you need to do. This simple design from Wesley Kathryn clearly displays your company handle and fits neatly into wallets, pockets and cardholders. If your business doesn’t have a website, it’s likely Facebook functions as a handy online HQ. It certainly provides useful access to consumers. If Facebook does form the majority of your online presence, you’ll want your business card to reflect this. You probably want it to serve as a call to action too. This social media business card deftly emulates a Facebook profile and includes a QR code to send recipients directly to your page. If simplicity is your thing, this compact little business card may provide some inspiration. This particular design isn’t the most visually stimulating, but it does neatly group together the designer’s website, email and Twitter handle. If business cards hold potential, in this case the potential lies with you to take it to greater heights. This eye catching business card is more than a nice logo. 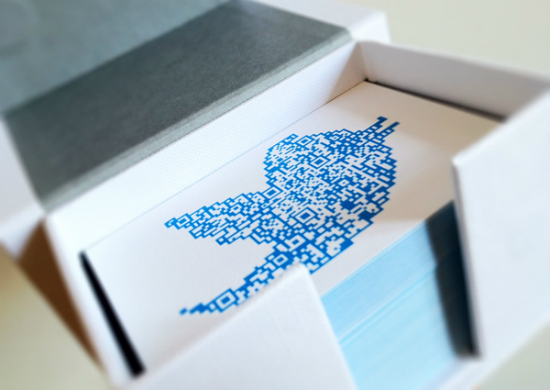 Argentina’s Antonio García Aprea uses a QR code within the Twitter logo to make this card both functional and appealing. In fact, he has completely dispensed with conventional contact details, writing only “Follow me” on the back of the card. If you’re like a lot of businesses, you’ll have a presence on multiple social channels. This is the case for Beach Riot, a swimwear company from Newport Beach, California. It’s also reflected in the company’s business cards, which display its Twitter, Facebook, Pinterest and Tumblr channels. 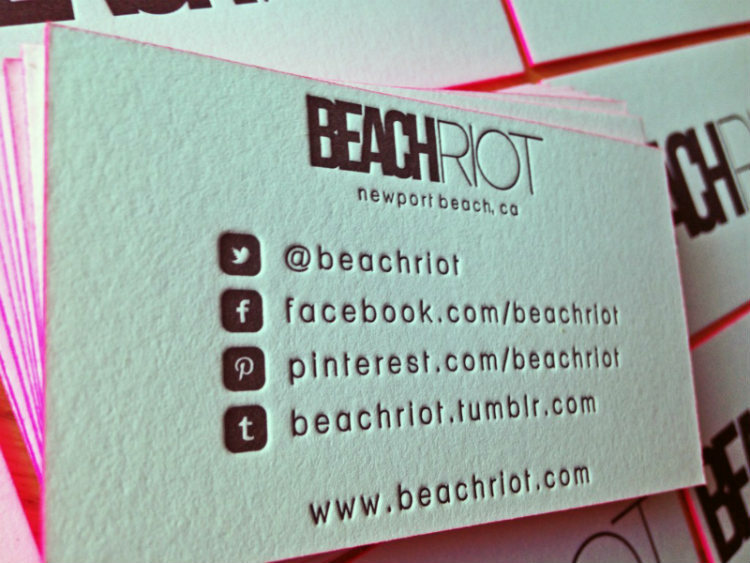 With the logo emblazoned in bold on the flip side and glowing fluorescent pink edges, Beach Riot’s social media business card is hard to miss. Find it on Dolce Press. Sometimes you can make social media business cards surprisingly useful. At least, this is the design that bespoke-suiting company Evolution of Style chose for its business cards. Displaying its Instagram handle and email on one side and its offering on the other, two parts of the card detach to become collar stays. This card doesn’t say “Stay sharp. Stay Crisp” for the sake of it – it means it. Find it on Plastic Printers. Business cards change to keep up with the times. Their designs and the information they display, therefore, are starting to reflect the significance of social media in our lives. Hopefully one of these examples of social media business cards suits your company, or provides inspiration for further creativity.